Most people don’t fully understand that pleomorphic bacteria, yeast, fungus and mold as well as their toxins, which are characteristically present in stored and fermented food, are using our food chain as a proverbial Trojan horse. 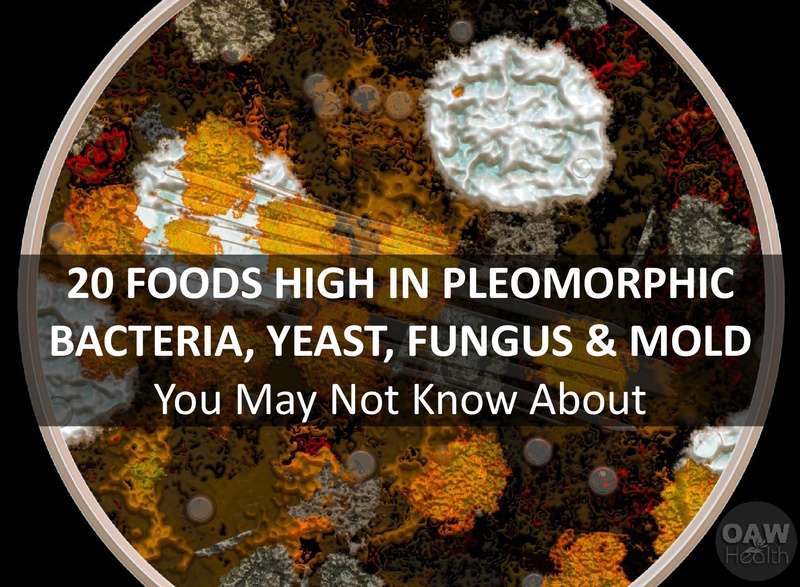 The following list of foods are high in pleomorphic (the ability of some micro-organisms to alter their shape or size in response to environmental conditions) bacteria, yeast, fungus and mold and produce mycotoxins. Mycotoxins are secondary metabolites produced by microfungi that are capable of causing illness, disease and death in humans and other animals. 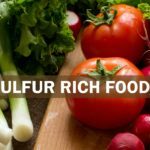 Cooking the listed foods thoroughly will kill most of the fungus; however, refrigerating them or using them cold, will literally put fungus into your body. Mycotoxins can enter the food chain in the field, during storage, or at later points. Mycotoxin concerns are exacerbated whenever shipping, handling, and storage practices are conducive to mold growth. The end result is that mycotoxins are commonly found in foods. Kuiper-Goodman, a leading figure in the risk assessment field, ranks mycotoxins as the most important chronic dietary risk factor, higher than synthetic contaminants, plant toxins, food additives, or pesticide residues. Speaking of fungi, there are around 1.5 million species of fungi — tiny microbes found in soil, air, food and water. They can be fatal and on average kill an estimated 1.5 million people globally each year. According to professor Neil Gow, President of the Microbiology Society, that’s an alarmingly high figure and is more than the number of people who die from malaria, more than twice the number of women who die from breast cancer, and an equivalent number to those who die from tuberculosis, or HIV, each year. Should we be concerned? Yes. Fungi and yeasts can become parasitic organisms outside and inside of the body, causing health issues that can be difficult to diagnose. Even pain can be a result from a body overload of fungus. Often and unknowingly, we feed these parasites through what we include in our daily diet. Fungi crave sugar, and if you have a fungal infection, their cravings can become your cravings. We must remind ourselves that sugar does not only come in the form of candy, soda and other obvious “junk foods”. Carbohydrates from grains, potatoes, corn and corn products, certain fruits, breads, pasta, alcohol and other staples of the standard American diet (SAD) are just as effective at feeding a parasitic fungal organism. If you are fighting any disease or illness that seems to linger and/or does not resolve itself, it’s time to think FUPO. FUPO stands for Fungus, Until Proven Otherwise. 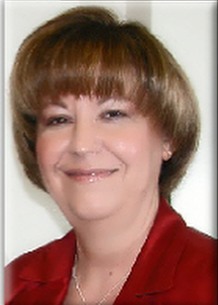 Ask your healthcare practitioner about looking for a fungus link. The information below is scientifically documented in the International Food Journal Microbial 20-211-226, 1993. If you want to see the actual document, you will have to contact the International Journal of Food Microbiology for a full copy of that material, if they still have it available. It was documented in 1993 which lets us know that our medical community has known about the health dangers of pleomorphic bacteria, yeast, fungus and mold in our food supply for a long, long time. Most of us know that food itself is not poisonous. However, very few of us realize that pleomorphic bacteria, yeast, and fungus and their toxins, which are characteristically present in stored and fermented food are a major source of human illness and disease. 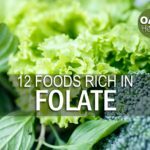 The following list of foods are high in pleomorphic bacteria, yeast, fungus and mold and produce mycotoxins that have been documented to cause specific diseases and very specific organ lesions in both animals and in humans and should never be ingested and if eaten, only in small amounts AND never cold. Most of the foods listed, if cooked thoroughly, will kill most of the fungus. However, refrigerating them or using them cold, will put fungus into your body. Pig meat including sausage, bacon, salami, and ham are full of colonized fungal and contain the fungi Aspergillus ochraceus which produces the mycotoxin Ochratoxin A which is associated with many different documented cancers. Ochratoxin is also recognized as a potent nephrotoxin. * Cooking these meats completely kills most of the fungus; however, cold cuts will begin to grow the fungus again and after a few days the cold meats contain the fungus again. Tobacco contains yeasts and sugars which ferment the tobacco into the form which reaches the human blood and tissues causing dysbiosis of the blood and tissues leading to every degenerative disease known including cancer, diabetes, arthritis, etc. * Tobacco is unhealthy regardless of how used except for when using tobacco leaves as the American Indian Medicine Man uses it. They use it as a poultice to draw our poisons out of the body, cure some skin infections and prevent infection from developing in cuts. Mushrooms are not a vegetable but rather the fruiting body of a fungus whose major form of existence, the root-like mycelium, is hidden in the soil. This fruiting body is the means to disperse the seed-like spores of the fungus throughout the blood and tissues. For example edible mushrooms induce bladder cancer. Corn and all associated products contain over 25 different strains of fungus, all disease causing. Several cancer causing. * Corn that is cooked thoroughly kills most of the fungus. However, cold corn that is put into salads will multiply as the fungus grows rapidly. Peanuts and cashews contain over 27 different strains of fungus (high levels of cancer causing fungus). Barley contains the fungi Aspergillus ochraceus which produces the mycotoxin Ochratoxin A. This mycotoxin is associated with many different documented cancers. 7) Animal meat and poultry. Animal meat and poultry including beef, lamb, chicken, and turkey contain the fungi Aspergillus ochraceus which produces the mycotoxin Ochratoxin A. It is associated with many different documented cancers. * You should only eat meat that has been thoroughly cooked so that there is not “pink” meat showing. Cooking kills most of the fungi and the body can deal with this small amount of up to 8-ounces daily of any meat. Actually, eating 8-ounces or less of any meat daily is more healthy for many reasons. * The least of these in fungus is 1% or 2% milk. Heating cheese to be used in macaroni kills most of the fungus. Cold cheese is loaded with the fungus, especially if it has been sitting for sometime. Cottage Cheese is loaded with the fungus. The immune system of the body can handle small amounts of 1% or 2% milk and heated cheese daily. Yogurt as long as it is made from “live” cultures is okay to eat. As a matter of fact, it is “good” bacteria that actually kills the “bad” bacteria such as yeast in the body. However, eating too much can also have negative effects. Up to 6-ounces a day is fine. * Cooking them kills most of them. Boiling eggs for salads is fine if used at one meal, however, refrigerated eggs or as in egg salad, the fungus begins to multiply again. 11) STORED GRAINS AND CEREALS. * As long as the grains are cooked it kills most of the fungus. Grains for spaghetti or pasta are fine. Oatmeal that is cooked for cereals is fine. Oatmeal baked for cookies is fine as long as eaten within a few days. Cold grain cereals are not that good to eat because of the fungus and mycotoxins. You should never eat cold pasta salads. Stored potatoes are fully colonized with fungus and contaminated with mycotoxins. * Cooking potatoes kills most of the fungus/mycotoxins, however refrigerating will breed the fungus. Cold Potato salad that has been refrigerated is not healthy! Please note, storing does not mean purchasing them and storing them for use in a cool/dark place. Do not store them in a refrigerator. It may help them to last longer, however, the fungus will breed in colder temperatures to survive. However, the longer they are even stored in a cool/dark place like a kitchen cupboard, the more fungus will breed. It is when potatoes have been refrigerated after cooking that the fungus will begin to grow again. A baked potato is actually very healthy to eat, low in fat and the glycemic index. White potatoes have received a bad rap since most diets say stay away from “white foods.” Of course, if you pile up the butter and sour cream on a baked potato you are defeating the purpose. Sweet potatoes and yams are even better, but again, cook them, boiled or baked, but do not eat them raw or store them after cooking for this will begin the fungus breeding process. Sugar including honey, maple syrup, corn syrup, high fructose corn syrup, sucrose, rice syrup, barley malt etc. promote the growth of pleomorphic bacteria, yeast, fungus, and mold and suppress the immune system response up to five hours. * Unless you use these in cooking or baking which kills most of the fungus, it is not wise to use these as sweeteners in drinks or drink products containing them. You should avoid all fruit juices containing corn syrup as the sweetener. * However, if used in very small amounts, 2-3 teaspoons on salads will kill any type of bacteria on the lettuce is not harmful and actually healthful to the body. Avoid using vinegar to flavor meats or soups. Using Italian dressing to marinate meat is not wise. Yeast in any form including Brewer’s Yeast. * Using the amounts needed in baking a loaf of bread is fine. The immune system can deal with small amounts. It is when you consume a number of foods daily that has yeast in it that can cause yeast infections and Candida Albicans. Caffeine in any form acidifies the blood and tissues which promotes the production of pleomorphic baceast, fungus and mold. High fructose fruits acidify the blood and tissues and feed the production of pleomorphic bacteria, yeast, fungus, and mold. For example, APPLE JUICE IS CONTAIMINATED WITH THE CARCINOGENIC MYCOTOXIN PATULIN WHICH IS DERIVED FROM THE FUNGUS AND IS ASSOCIATED WITH STOMACH CANCER. * It is best not to drink apple juice. Even though juices are pasteurized, heated to kill bacteria and most fungus, apple juice has the highest capability of breeding more of the fungus as it sits on the shelf. Juices that contain the least amount of fungus after sitting is cranberry, ( very good for keeping urinary tract and kidneys infections down), papaya, white or red grape and pineapple. Orange juice is fine if freshly squeezed or from a carton that has not been made from concentrate and drank within 1-2 days. Avoid juices made from concentrate. * Cooking kills most of the fungus. Eating raw fish such as in sushi is dangerous. There have been deaths caused from eating raw fish such as in sushi. Never eat cold or refrigerated fish. Anchovies are loaded with the fungus as well as most canned fish meats. Tuna is fine because it has low fungus which the body can deal with in small amounts. Eating tuna packed in water is the best, however limit the amount to less than 4 ounces a day. Tuna and other types of fishes are known to carry mercury, PCB’s and other contaminants. Never eat farm raised fish like farm raised salmon or trout. Farm raised fish are loaded with bacteria due to the small areas they are raised in and are often fed hormones to make them grow faster. Devitalized salt (processed white store bought salt ) changes the negative charge on the blood cells causing them to stack or combine into symplasts which can lead to oxygen deprivation, congestion, poor circulation, stroke, and/or heart attack. * Use natural Himalayan sea salt. Himalayan sea salt is needed by the body. Studies show that it does not raise blood pressure. Hydrogenated or partially hydrogenated oils as in margarine, shortenings and vegetable oils are altered fat substances which are known to be detrimental to health because they interfere with normal biochemical processes. These oils have been shown to increase cholesterol, decrease beneficial high-density lipoprotein (HDL) interfere with our liver’s detoxification system, and interfere with essential fatty acid function. Dr. Walter Willett at Harvard has shown that any form of hydrogenated or partially hydrogenated oils cause a 53% increase in coronary heart disease, In September, 1998, The American Heart Association issued a health warning to avoid foods containing these oils. Diabetes type II, cell inflammation and autoimmune problems have been linked to these oils. 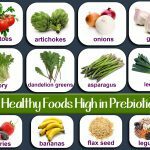 It’s important to eat foods that will help to support and repair your body and will not feed yeast, mold and fungus. The following foods are encouraged for at least 4-6 months. 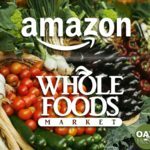 Buy organic as much as possible. FRUITS – Berries, grapefruit, lemon, lime, green apples, avocado, fresh coconut. MEATS– Virtually all grass-fed and grass-finished meat including poultry and beef, lamb, fresh fish (cold-water is best). VEGETABLES – Most fresh, unblemished vegetables and freshly made vegetable juice. Live foods high in chlorophyll are important such as spinach, kale, chard & collards, peas, asparagus, broccoli, grapes & celery and fresh herbs like parsley, dill & cilantro. BEVERAGES – Spring or distilled water packaged in glass, non-fruity herbal teas, stevia sweetened fresh lemonade or limeade, freshly juiced carrot juice. VINEGAR – Raw apple cider vinegar. OILS – Extra Virgin Olive, grape seed, flax seed, cold pressed virgin coconut oil, avocado oil. NUTS – Raw nuts including pecans, almonds, walnuts, cashews, and pumpkin seeds. Stored nuts usually gather mold, so be careful. SWEETENERS – Stevia, birch tree extracted Xylitol, Raw honey. DAIRY – Organic Butter, Organic Yogurt (plain with active cultures). EGGS – Organic from pastured or free-range chickens. The material above is a condensed unedited version of the material that was presented to the: World Safety Organization. 17th International Environmental Safety & Health Conference& Exposition. November 3 – 5, 2003. The material above can be found in the material and tables presented by: Pilt JL, Hocking AD, Bhudhasamai K, Miscamble BF, Wheeler EKP: The Normal Mycoflora of Commodities from Thailand Part 1 Nuts and Oilseeds. International Journal Food Microbiology 20:211-226, 1993. Tables 3-3 and Tables 4-4. Kuiper-Goodman, T. 1998. Food safety: mycotoxins and phycotoxins in perspective, p. 25-48. In M. Miraglia, H. van Edmond, C. Brera, and J. Gilbert (ed. ), Mycotoxins and phycotoxins—developments in chemistry, toxicology and food safety. Alaken Inc., Fort Collins, Colo. [Ref list].